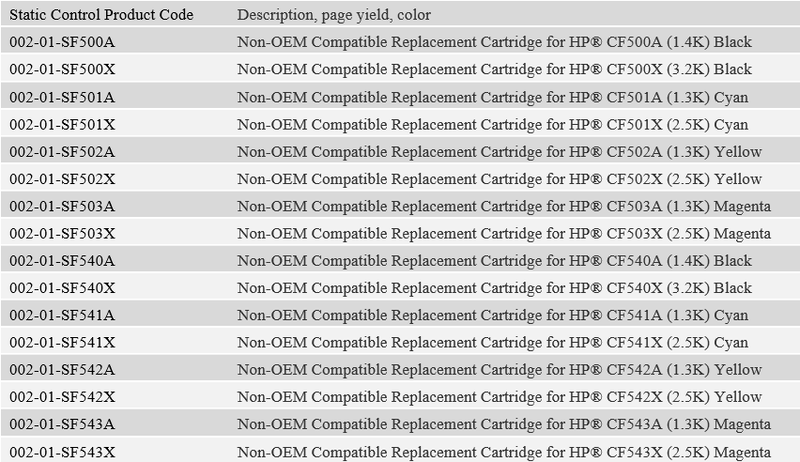 Static Control has released a compatible range of CF500A/X and CF540A/X series cartridges for use in HP printers. 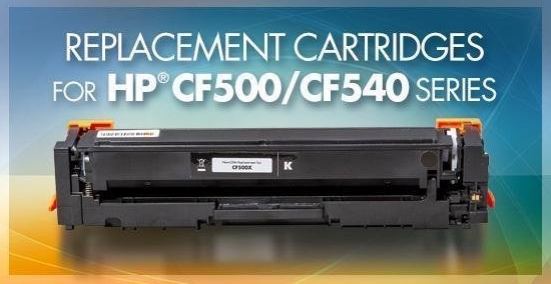 The company claims the CF500A/X and CF540A/X cartridge series provide consistent print performance for the fill cartridge life cycle and meets OEM page yield. Product details are as below, or Contact HERE for more information.